It’s easy to find a bunch of Australians in Calgary – normally all you have to do is go up to the ski hills in Banff and Lake Louise. It’s much more difficult trying to find a bunch of Aussies perform an astonishing 61 circus acts in 60 minutes. 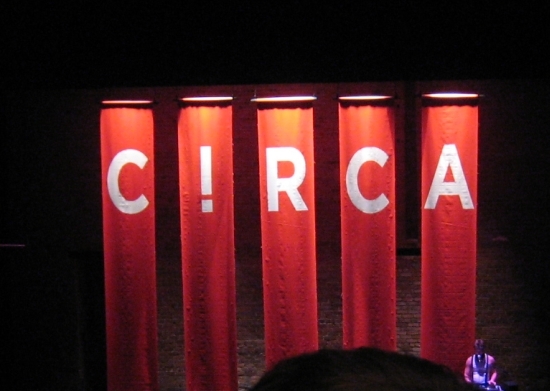 Fortunately, Circa and its four performers not only manage to pull it off without the potential droll, but they manage to make it a blast for everyone in the audience. Tonight I was lucky enough to see them on the opening night with the folks from Theatre Junction at The Grand. Their first night wasn’t a completely full house, although the the standing ovation at the end demonstrated exactly how much value everyone received for the price of their ticket. To say that the performers, made up of one lady and three gentlemen, are charismatic would be an understatement. 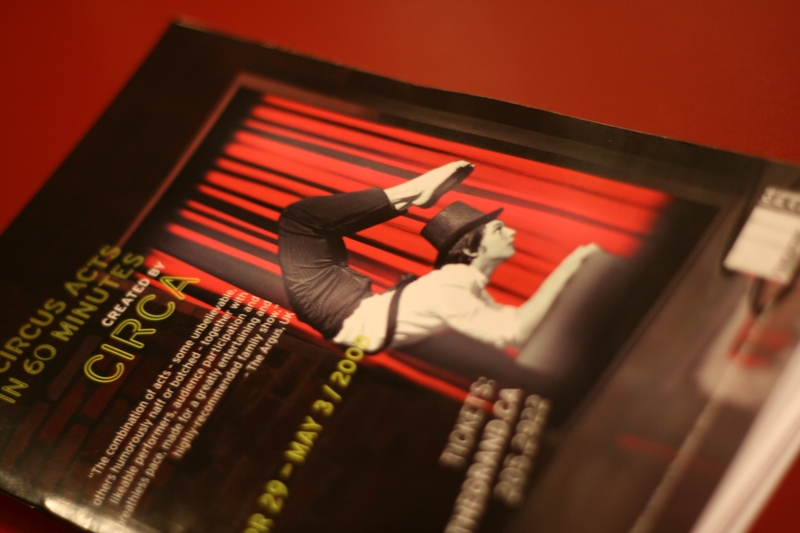 Their witty commentary and perfect timing takes you on a journey through the different circus acts where you literally laugh, cry and cringe your way through some mind-bending physical feats. With only just the four of them, they cover pretty much all types of circus acts including juggling, tumbling, acrobatics, slapstick, magic, and some more unique combinations involving some modern props like a fitness ball. Although on first thought, an hour isn’t really a long time for a show, I’m just amazed at how energised the entire hour felt and with the breadth of the performance, I’m sure that everyone walked out of there extremely satisfied. Of course with so much pressure on the performers, some of the acts didn’t quite go according to plan and given their format, you at least knew that particular act would draw to a close very quickly. Definitely go and see these guys, if for nothing else but a light hearted evening. It’s an hour of your life you’ll definitely appreciate.